Even as political parties hit the campaign trail with their leaders delivering spirited speeches to elect them to power, it is worth looking at the profile of the Gujarat Chief Minister, Narendra Modi, who has virtually become a household name in every nook and corner of the country. Billboards dot every city in the country showing the vest-coated Modi with the slogan “Ab ki baar, Modi ki sarkar” (this time round it is Modi’s reign). Radio spots tout a woman called corruption, wanting to quit the country after 10 years because Modi is now coming to clean the stable (the country) of corruption. After having missed the bus in 2004 despite a successful run by then PM, Atal Bihari Vajpayee and again in 2009 because of party in-fighting, BJP has now mounted a powerful nation-wide campaign, projecting Narendra Modi as the man of the hour to fight corruption and inefficiency, and to take bold decisions to kickstart the economy that has remained stagnant during the past few years. BJP’s gamble on the strong, no-nonsense man, Modi, acclaimed for his Gujarat-type development model, has evoked mixed responses nation-wide, with some swearing by him and some others questioning the efficacy of his economic fundamentals. Yet, sixty-four year old Narendra Damodardas Modi, born in Sep 1950 in Vadnagar, Gujarat, has occupied mind space across the nation. Let us look at the profile of this much discussed man, described by his detractors as an autocrat of Hitler’s mettle and some others calling him a strong administrator, who could crack the whip to get the administration and its bureaucrats moving. In 1970, Modi joined the right-wing Rashtriya Swayamsevak Sangh (RSS) as a full-time pracharak (propagandist). He also helped his father and his brother in the family business of a tea stall. He was an average student at school, but he was recognised for his brilliant oratory skills. Modi was appointed the National Secretary of BJP after the successful 1995 Gujarat Elections, during which campaign he demonstrated his organisational skills and his ability to return his party to power in the state. He continues to successfully retain power for over a decade, winning every election since then, convincingly. Bharath Matha Mohan, one of Modi’s close associates from 1978 till date, said, “Modi is affectionate with all the people, and is deeply committed to the nation. He has never shied away from taking up any challenging responsibility. He has an amazing, photographic memory and he can remember a person and recall the association and the conversations even after many years”. 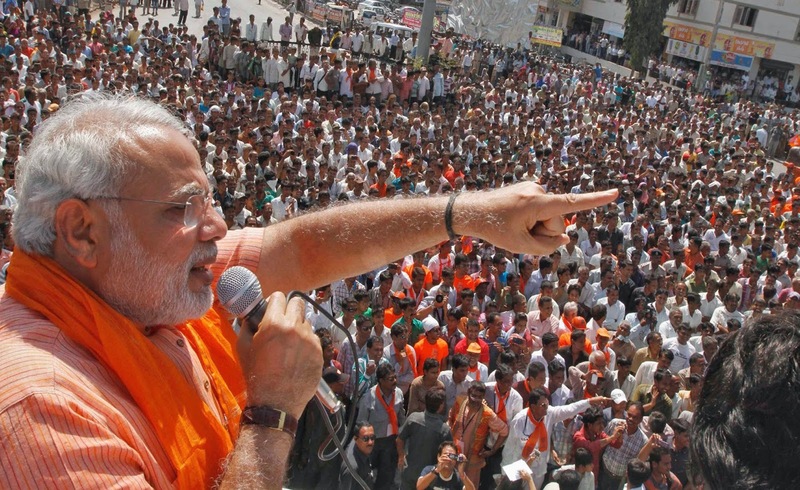 Narendra Modi led BJP to a massive victory in 1995 (121 seats) and 1998 (117 seats) in the State Elections in Gujarat. BJP came to power in 1995 for the first time and since then it has retained power. In January 2001, when Keshubai Patel was the Chief Minister, a massive earthquake devastated the state, hitting Bhuj. Nearly 20,000 people died and properties worth thousands of crore were damaged. Keshubai Patel was not in good health at that time and the administrative machinery was not equipped well enough to handle a calamity of such magnitude. BJP faced much criticism from the public. Seeing his immense capabilities, the BJP leadership then entrusted the task of Chief Ministership to Narendra Modi. Modi was not even an MLA and lacked any experience in governance. After a long deliberation, BJP confidently decided to make him the Chief Minister because of his effective organising abilities and dedication. “It is a rarest of the rare decision in politics” said Mohan, recalling those tumultuous days. On 7th October 2001, Modi took charge as the Chief Minister, from Keshubai Patel. With minimal experience in disaster management, Modi rose to the occasion displaying his remarkable leadership skills in organising relief to the victims. He rebuilt the entire devastated area within three years, which normally could have taken more than 10 years. Gujarat has been in the grip of communal riots since 1714. Even in the post-independence era, thousands of people belonging to different communities continued to die in communal clashes. Justice Reddy Commission and Justice Davy Commission, which examined the issue of communal riots in Gujarat, recorded 2938 such instances in the 1960s. Though the official estimate of the death toll in the 1969 riots was 5000, the actual death toll was reported to be more than 15,000. 1980s and 1990s also saw many communal clashes, resulting in huge loss of human lives and properties, belonging to the Hindus and the Muslims. Many parts of Gujarat were under curfew for many days. On 27th Feb 2002, 58 Hindu Karsevaks were burnt alive by some miscreants in Godhra Railway Station. This sparked a communal clash between the Hindus and the Muslims the following day, in 36 different places in the state. Though the army took control of the situation the following day i.e. on 1st March 2002, 1100 lives of both communities were lost by that time. Facing adverse criticism as a man new to the government, Modi resigned and dissolved the assembly in July 2002. The Governor however, requested him to continue in office. On 24th Sep 2002, the famed Akshardam Temple was attacked by Pakistani terrorists. This created yet another big challenge to the Gujarat Government. In the Dec 2002 elections, BJP, led by Modi, secured 127 out of the 182 seats in the Assembly, and he became the Chief Minister for a second term. A more confident Modi launched initiatives to overcome the challenges, facing the state, and he set himself to improve the governance of the state. In the 2007 elections, he secured 117 seats and in 2012 elections, he secured 115 seats. Modi thus assumed his office for the fourth term as Chief Minister, a rare feat by any chief minister. The closest anyone has come to this record is the Congress ex-Chief Minister of Delhi, Ms Shiela Dikshit. She was successfully elected for three terms. She is now the governor of the state of Kerala. After 2002, not a single incidence of communal clashes or death has been reported in Gujarat. The state has not placed any area under curfew ever since. Narendra Modi is both the most admired as well as the most abused or maligned politician of this nation. We gathered some first-hand information from different sources in Gujarat to find out why this was so and how much of it was myth and how much of it, reality. Modi introduced new systems to improve the state governance and to maintain peace in the state. The State Wide Attention on Grievances with Application of Technology (SWAGAT), launched in April 2003, is an initiative to redress public grievances. On the fourth Thursday of every month, the Chief Minister holds a video conference with all his ministers, his secretaries, the district collectors and other field functionaries to review pending grievances and the progress of projects in the pipeline. 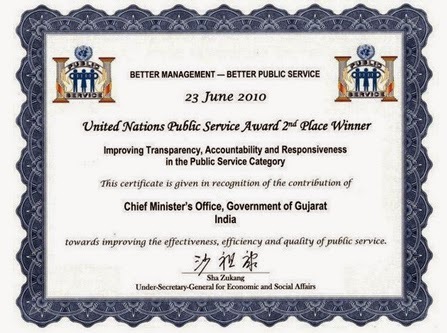 In 2010, the United Nations presented an award in the category of ‘Improving Transparency, Accountability and Responsibility in Public Service’ to the Gujarat Government . “The real test of good governance is its grievance redressal system. In an ideal democratic system, people should be able to voice their problems freely and also get them resolved quickly”, Modi had stated in one of his speeches. In order to give more microscopic attention to the villages and towns, Modi increased the number of districts from 26 to 33 and also divided the Taluks to facilitate better attention to the welfare of the people. He introduced the Apno Taluko, Vibrant Taluko (ATVT) Scheme to empower the officials at the grassroot level to take quick decisions. Since 2003, Modi has been organising a three-day ‘Chintan Shibir’ (brain-storming session) annually in one of the resorts. All his Ministers, State Secretaries, and field-level IAS officers as well as other functionaries are invited to participate. Many eminent people like Dr Abdul Kalam, Secretaries from the Government of India, and experts from different fields were invited as guests, to share their views. During these three days, various group discussions are held on different problems, and at the end of it, the officials returned to their offices, equipped with effective decisions and solutions. Modi would spend all the three days in the same campus. He would interact with the officials in small groups, during the breakfast, lunch and dinner sessions, to understand their problems. This Shibir is a unique governance model practised only in Gujarat and successfully running for the past 10 years. It is learnt that other states are planning to replicate this model. The Gujarat Government has received several awards at national and international levels, for its model of governance. 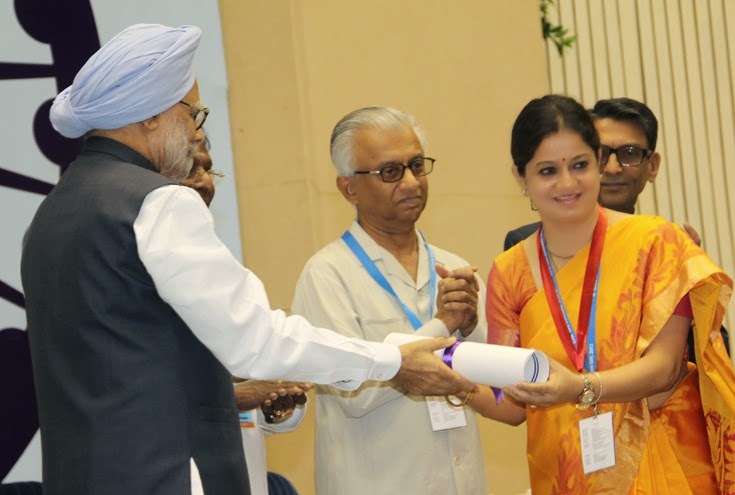 In 2013, the Prime Minister presented an award for public administration to the Gujarat Government. When we spoke to one of the District Collectors of Gujarat (name withheld due to the moral code in force), he said that Modi used to motivate all the officers with his oratory skill and would individually encourage them. “I am fortunate to work with Mr Modi. He is a good motivator. At the same time, he also ensures that projects are completed on time. He does not behave like a boss. He is always a leader and a mentor”, the IAS officer said with pride. Another senior bureaucrat from New Delhi said that Modi had been focusing on infrastructure development, education, healthcare, industry and trade for long term benefit. He would refer to the example of interlinking the rivers, Sabarmati and Narmada, as this has helped improve the irrigation and water supply in many parts of the state. “Agriculture productivity is 9%, as against the national average of 2%. The latest reports indicate that this national average has now touched 4%. Modi is one leader capable of using existing and available resources for development”, the bureaucrat added. Although the people of Gujarat have voted Modi’s government into power for the fourth term in succession, the opposition parties and some Muslim leaders criticise him, comparing him with Adolf Hitler and allege his involvement in the post-Godhra riots. They also allege that discrimination is shown by Modi to the people of a particular religious faith. Some of his critics say that the development story of Gujarat as projected by Modi was a farce and they claim that many villages in the state, still do not have power and electricity. On behalf of ezine, PreSense, I spoke to Dastagir Sheik (56), a car driver from Ahmedabad. He has been living in Gujarat since his birth. He said that he had seen riots and curfew for many years in the earlier decades, but after 2002, the state had remained peaceful. The Hindu and Muslim communities were engaged profitably in their own avocations. “Earlier, some people from both the communities were not gainfully employed. Thus, they used to engage in rowdyism, creating communal tension. They were also involved in illegal activities. But now, the progress in the state’s economic development has ensured that everyone was occupied. A strict vigil by the authorities deters people from unlawful acts” Dastagir added. Jaffar Sadig (32), a shop-keeper from Vadodra, endorsed similar views. He raved about the leadership of Narendra Modi. “Mr Modi is not a Hitler. He is a strong person. He has control over the entire administration. Corruption is minimal in Gujarat. We should not linger on the past riots. We need to move ahead. I will definitely vote for Modi, who is standing from our constituency. Besides me, a majority of the Muslims will vote for him”, he added confidently. “It is pointless to continue accusing Modi for what happened in 2002. Even the Special Investigation Team (SIT) appointed by the Supreme Court has not found any valid allegation against him. In the past 11 years, there has not been a single instance of riot reported. I do not understand why the media is spreading false information and not covering the success stories.”, Mohan added. The District Collector (name withheld), with whom I spoke over the telephone, said that whenever the people came with their grievances, the Administration examines the issues to find suitable solutions for the people. “In our district, we used to have low voltage and power fluctuation for various reasons. Immediately, we added a few more sub-stations and resolved the problem within a few days. We do not believe in ignoring the grievances. We believe in resolving them. Narendra Modi has set systems in place like Chintan Shibir, SWAGAT, ATVT, for effective functioning of the systems”, he added. When asked about the negative projection of the Modi Government by the media, all of those interviewed were unanimous in saying, “Let anybody visit Gujarat and see for themselves. We do not understand why the media is projecting incorrectly, when there are many positive results to cover and share”. What is unique in Modi that differentiates him from others? When there were many leaders in the party, why was Modi chosen as the Prime Ministerial Candidate? What is the uniqueness in him that made him the PM candidate? When I asked this question to Mohan, his long-time friend, he immediately responded that his organising ability and effective administration were the main qualities and reason. Mr.N. Vittal, retired IAS officer from the Gujarat cadre and the former Central Vigilance Commissioner of India, was closely associated with Narendra Modi in 2003, in establishing the good governance model. “The so-called secular English electronic media pry into Modi’s affairs with microscopic scrutiny. Even trivial issues are exaggerated to malign him. In the past 10 years, he has brought about good model of governance. The media does not bother to talk about this”, Vittal says. “I have worked with several politicians. Mr Modi is a great listener and learner. He is like a sponge, which can absorb water immediately. He can absorb knowledge quickly. When you say something to him, he is able to comprehend and think ahead quickly. I have seen this quality only in Rajaji (C.Rajagopalachari)”, Says Vittal. We can say that Modi is among the rare breed of politicians who has developed the ability to listen to others to emerge with solutions to public problems.